The Cat's Claws: Lethal - Moment Of Impact! Lethal - Moment Of Impact! On deciding to do some blingy nails I didn't realise just how blingy they would end up or how difficult they would be to photograph! So I'm afraid these photos are the best that I could come up with and they were mostly chosen to show just how strong the holographic flame is. 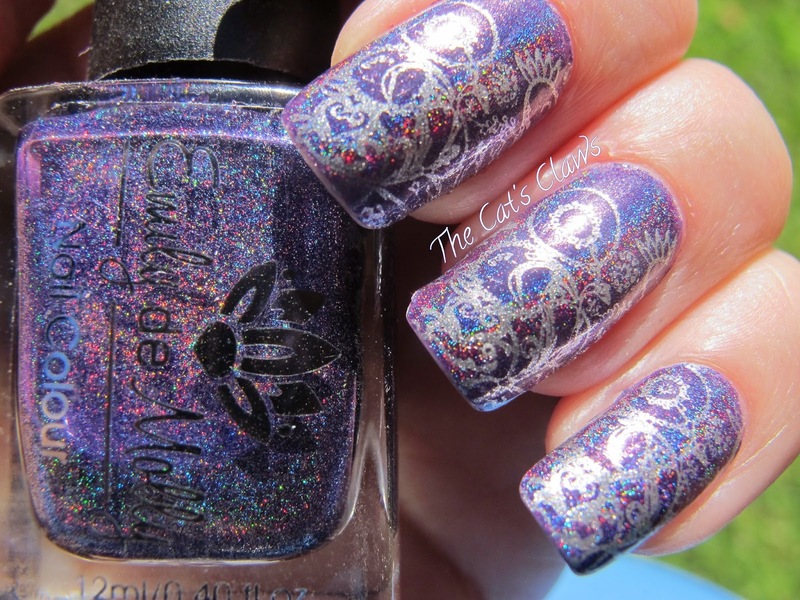 Emily de Molly Moment Of Impact is a beautiful purple holographic polish with a very strong flame effect, one coat would have been enough but I did two. I can't even remember when I bought Emily de Molly Moment Of Impact, and now I'm regretting waiting so long to use it! 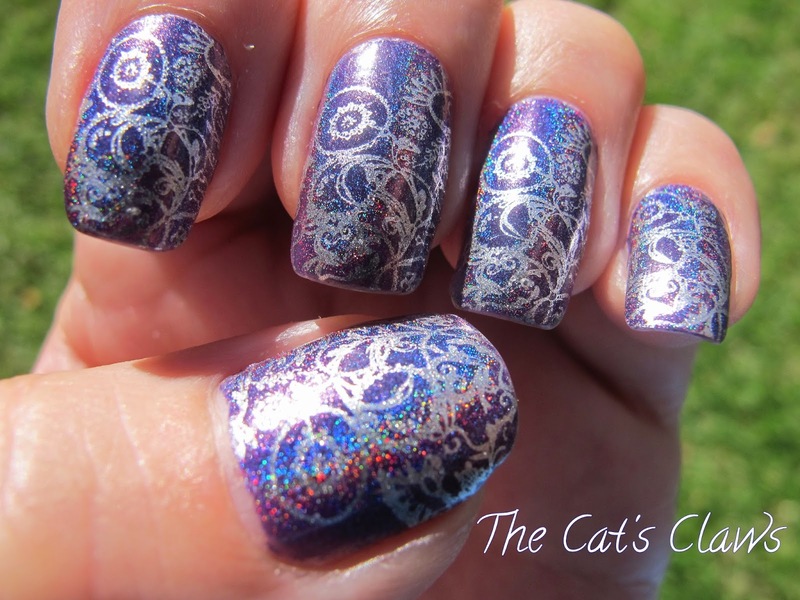 I have always felt purple and silver together are beautiful so I decided to see if Cult Nails Lethal a bright super sparkly silver would stamp? And it does perfectly! The image is from MoYou London Pro Collection XL 14. This was then topped off with a coat of Seche Vite which hasn't dulled my super sparkly mani at all. Stamping With Mundo De Unas!